The European Coatings Show plus Adhesives, Sealants, Construction Chemicals is the leading exhibition for the international coating and paint industry every two years. The exhibitors source information on the production of coatings, paints, sealants, construction chemicals and adhesives. TRAPPIST-1, also designated as 2MASS J23062928-0502285, is an ultra-cool dwarf star located 39.5 light-years (12.1 parsecs) from the Sun in the constellation Aquarius. As of February 2017, it has been shown to host seven terrestrial planets, a larger number than detected for any other planetary system. 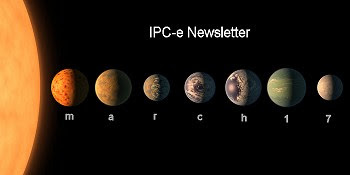 Welcome to the March 2017 edition of the IPC e-newsletter. The IPC e newsletter is distributed free to more than 5000 people around the world. Lawrence Moody said he is satisfied that he and 3,550 other people are finally getting justice. "You just can't do that to people," the Washington County man said after DuPont and its spinoff company Chemours agreed to pay nearly $671 million to Mid-Ohio Valley people affected by a chemical used to make Teflon that causes cancer and a host of other health problems. Berger Paints India Ltd has announced the financial results for the quarter ended December 31, 2016. In a chat with ET Now, Abhijit Roy, MD, Berger Paints says Budget's boost for affordable housing and company's announced price hike in March would increase firm's profitability. Against an expectation of a dip in top line, you have managed to post a 4.9 per cent growth, can you break it up in terms of volumes and realisations? Akzo Nobel India's total revenue stood at Rs 813 crore as against Rs 798 crore during Q3 FY16, thereby experiencing growth of 2 percent. GUWAHATI: Chennai based Sheenlac Paints and Jenson & Nicholson joint venture company Jenson & Nicholson Paints Pvt. Ltd will set up outsourced manufacturing facility in Assam. The company has said that it has not formed any JV with Sheenlac Paints Limited. But, Sheenlac Paints Ltd., is one of the equity sharehodler in its subsidiary named Jenson & Nicholson Paints Pvt. Ltd.
Jotun Paints, one of the world's leading coating brands for industrial protection, is showcasing its innovative range of high-performance coating technologies for offshore and onshore industries at the upcoming Gulf Industry Fair 2017 (GIF) in Bahrain. German additive manufacturing material producer, Advanc3D has developed a new thermoplastic polyurethane (TPU) powder for the Selective Laser Sintering (SLS) process. I don't know if you have covered this before. We notice that the cured powder does not stick readily to edges that have been cut by a laser. What are the causes of this and what can be done to overcome the adhesion issues? Nope, this is a first time question. Cutting steel with a laser offers many advantages including precision, speed, less rejects and low labor costs. However one of the problems inherent to laser cutting is the blue oxide edge it leaves on carbon steel. Powder coatings don't like to adhere to this oxidized surface. Conventional iron or zinc phosphate pretreatments don't adequately penetrate the oxide to provide adhesion of the cured powder. This results in a loss of adhesion and the potential for serious corrosion problems. There are a few paths to compensate for this shortcoming. One is to employ a more aggressive pretreatment process. Using a strong acid etch prior to the phosphate stage can attack the oxide layer enough to allow the phosphate to do its thing. Another option is to avoid creating the oxidation by using nitrogen in the laser cutting process. It's more expensive than using oxygen but it minimizes oxidation from the laser and therefore allows a conventional iron or zinc phosphate process to provide a surface more amenable to adhesion of a cured powder. A third option is physically abrading the edges. This can be accomplished either automatically (blasting or wheel abrading) or manually. If you opt for a blasting process it is imperative to keep your media clean otherwise you can contaminate the surface you are attempting to clean. ScotchBrite® pads or wheels work well but require additional labor. Keep in mind that these extra steps can be cost-prohibitive. We're looking for an epoxy powder that is resistant to D.O.T. 3 brake fluid, we are a manufacturer of stainless steel filters and a customer of ours uses D.O.T. 3brake fluid with our filters which we use an epoxy resin in our assembly of the filter. D.O.T. 3 brake fluid is a tough one. Most hydraulic fluids act as a paint remover when exposed to an organic finish. Brake fluid will seriously attack conventional polyester and hybrid powder coatings Standard epoxies fare better but only a high performance epoxy will adequately withstand regular exposure to the D.O.T. 3 material. Epoxies formulated for decorative purposes don't have the chemical resistance needed to resist the aggressive solvating ability of the fluids used for hydraulic systems. Therefore I suggest you specifically ask your powder supplier for a brake fluid resistant epoxy. These have been commercially available for years so you shouldn't have a problem getting the right material for the job.